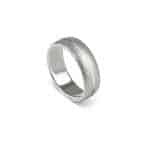 Christian Bauer wedding bands are beautifully engineered. 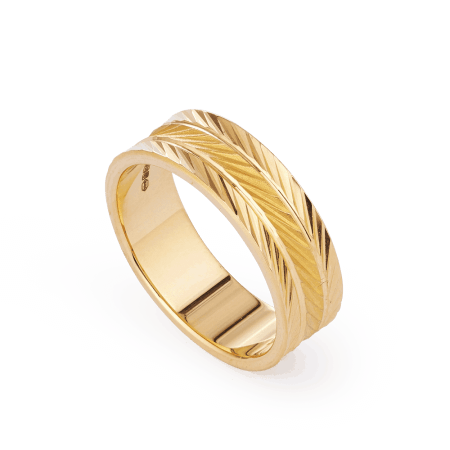 Here’s a distinctive men’s band from the German label, blending an organic rippled texture with polished bands of rose gold. 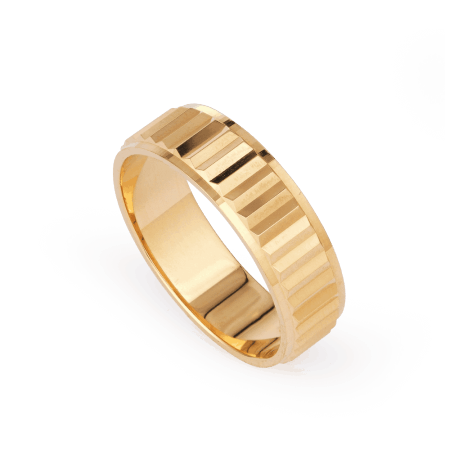 The workmanship is extraordinary; we have stocked Christian Bauer wedding bands for many years and continue to be impressed with their innovative approach. 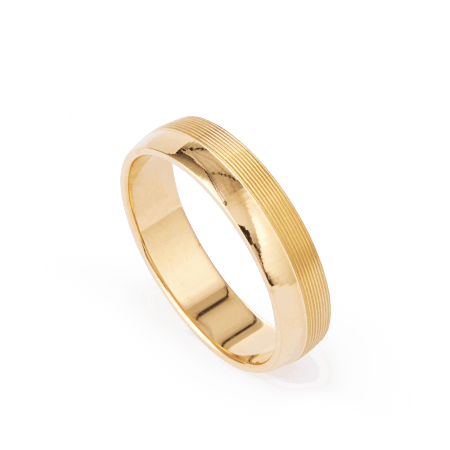 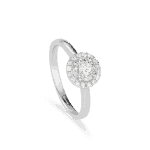 You’ll be pleased with the fit and comfort of this wedding ring, particularly when you start receiving compliments on your choice… *Christian Bauer wedding bands are ordered to size, so please open Live Chat to enquire about prices and availability. A textured wedding band is an interesting and unusual choice that really makes a statement. 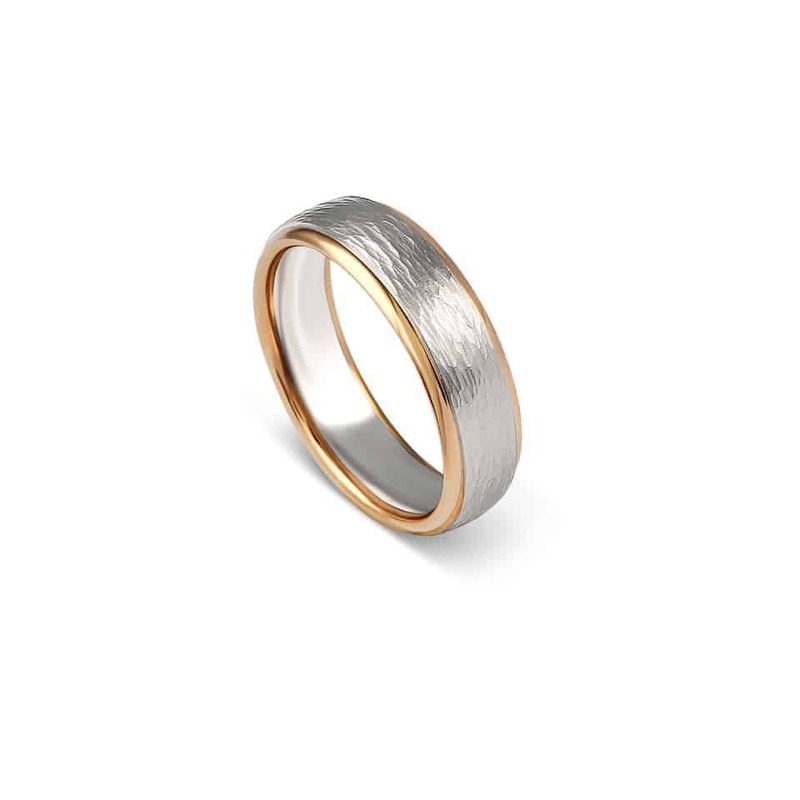 Christian Bauer crafts a range of textures on its wedding bands, from sandblasted circles to precision-cut edges and wavy, organic rings. 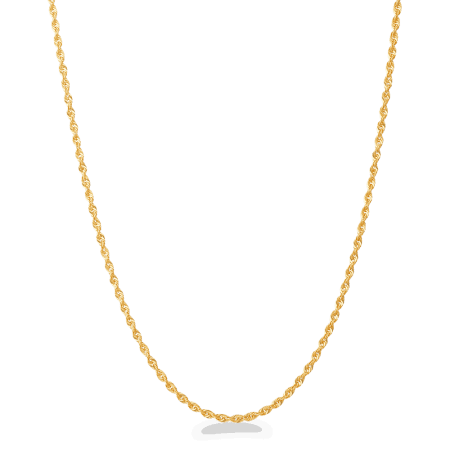 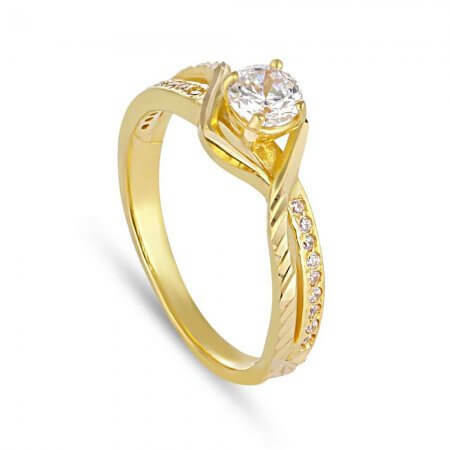 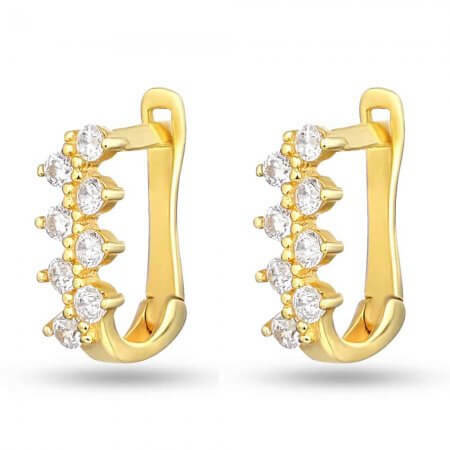 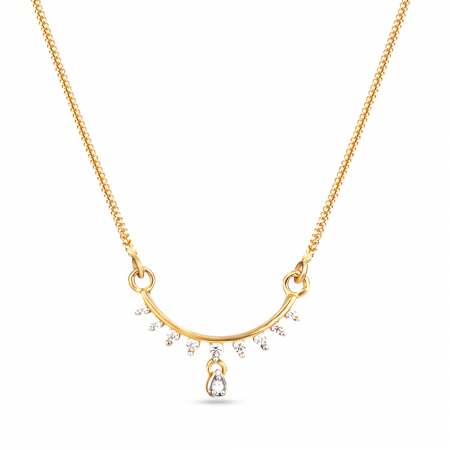 The brand is also known for using coloured golds in a unique way. 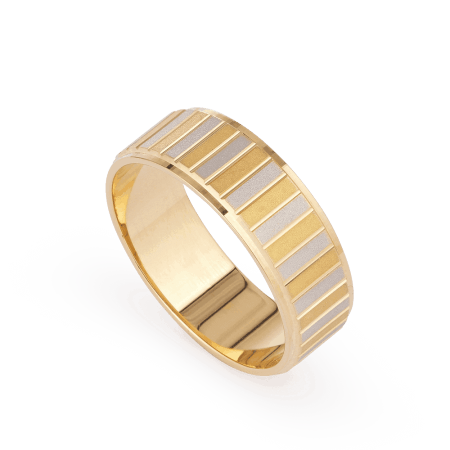 This ring contrasts both texture and colour, and is perfect for wearing all by itself. 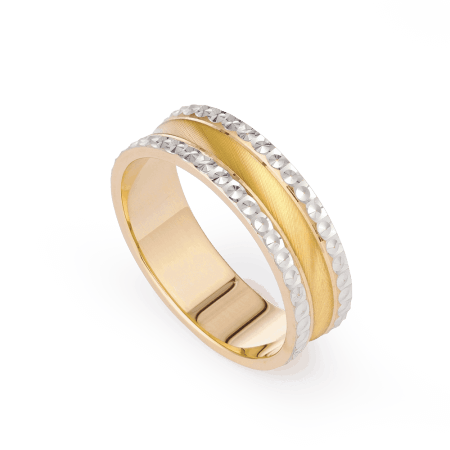 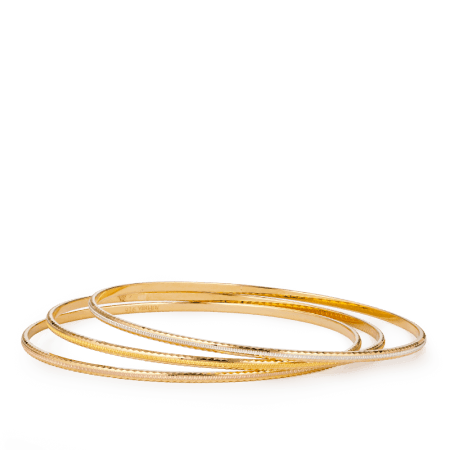 If it’s the only jewellery you’re likely to wear then this wedding band is striking enough to take all the attention.